Seat Pitch Economy 32" Business Short 32" Mid 50" Longhaul 86"
Iberia. It can either seem like coming home - if you're Spanish - or the words can cause furrowed brows in business passengers trying to fly around Europe. Reviews are not always favourable. The reason is clear. 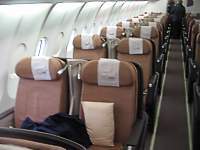 Although selling itself as a full-service airline, it is now little more than an uncomfortable no-frills carrier in economy, and indeed the quality can be a bit hit or miss: certainly in premium classes, there are some better airlines, but in economy it can come in cheaper than most. The soft product - such as the food and the service - can be better than you'd expect, but the hard product - the planes & seats - can be a bit random: often there is no way of knowing if you'll get a new plane with all the frills, or an older version with dodgy seats and entertainment. The airline has changed considerably over the past few years, particularly since it was privatised. Economy around Europe it is pretty much a low-cost operation. Some of the planes can be very old and pretty grubby. However business class and long haul planes have had a considerable revamp, with very good seating in comfortable modern Airbus planes. Some customers from outside Spain may have trouble with the aloof attitude of Iberia's staff, due to cultural differences, but altogether it is still mainly a good quality airline. The airline is official known as Iberia Líneas Aéreas de España, usually shortened to Iberia, is the largest airline of Spain, based in Madrid. It operates an extensive international network of services to most parts of the globe - and to regional parts of Spain. Although now mostly a no-frills economy carrier, at the other end of the plane Iberia excel, with a notably good Business Class service. 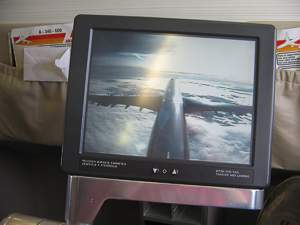 Iberia's main bases are Madrid Barajas and Barcelona el Prat airports. The new Madrid terminals have won several awards and are very good. 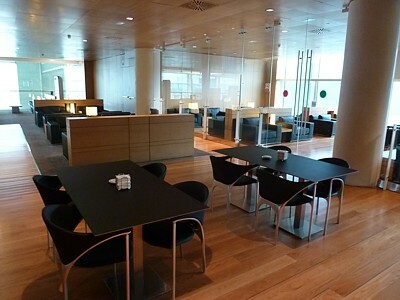 Barcelona was once a desolate hole with very grotty lounges, but the move to the new Terminal 1 has uprated all that. 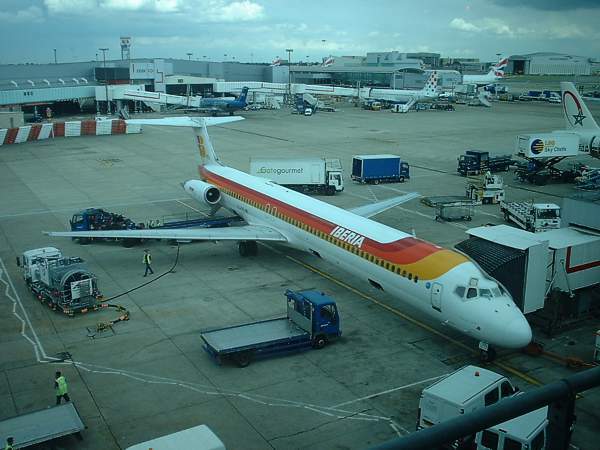 Iberia Regional Air Nostrum is an independent carrier that operates as a franchisee of Iberia. It operates short-haul routes from Madrid, Barcelona and Valencia to Spain and North Africa. 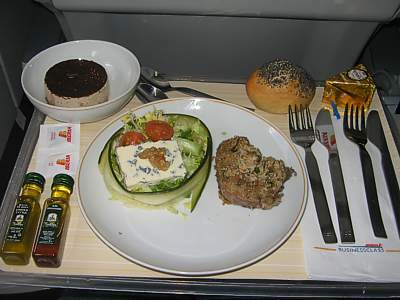 Its flights operate with the IB prefix, with a single cabin offering a much better in-flight service, including free meals and drinks in all cabins - a complete change from Iberia mainline. For example you may starve on the mainline flights from London to Barcelona, but then on the short hop to Ibiza, you get a free bar. Logical, it is not. And yet, Iberia is an airline that technically no longer exists. There is instead the International Airlines Group, which operates the brands Iberia and British Airways, following the merger of the two in 2010, leaving BA with a 55% stake in the whole. The combined airline is the world's third-largest carrier (after Delta and American Airlines) in terms of annual revenue, however BA and American Airlines have also entered into collaboration, allowing them to fix fares, routes, and schedules together. Now, Iberia is part of the world's largest airline group. It remains to be seen what that will do to the inflight service. Note that all reviews and opinions on Iberia (IB) food, service, seats, planes, upgrades, lounges, and the Frequent Flyer scheme is soley at my judgement. No legal liability is accepted if you take my advice.